In Brush of Honor, artist Phil Taylor is on a mission to pay tribute to America’s fallen military service members. 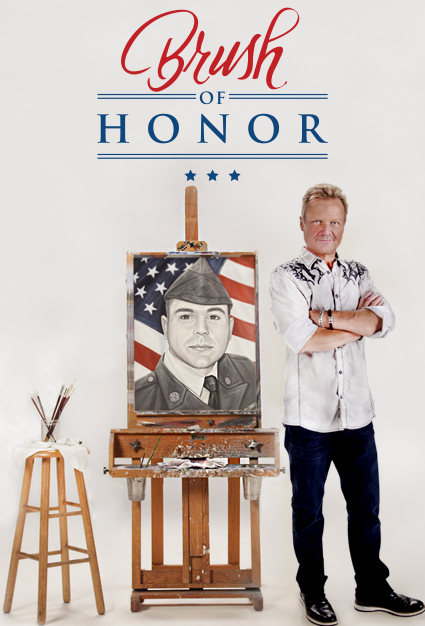 In each episode, he embarks on a journey to learn as much as he can about them in order to accurately reflect the fallen hero’s true spirit in a hand-painted original portrait. He visits their hometown, meets with family members, friends and comrades. Through this process, he gains a clearer understanding of what leads these young men and women to serve and lay down their lives for our country. Phil ultimately honors the fallen by presenting the finished portrait to the family in an emotional and heartwarming tribute. Emmy® award winner Gary Sinise narrates this series.